E.P.I.C. 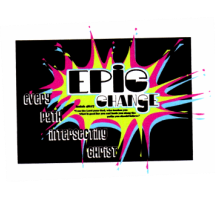 Change Jr High Youth Group gathers on Wednesday nights to hang out, study the Word of God and learn how to apply it to our daily lives. Our desire is to walk the Christian life no matter where we are, because Every Path Intersects Christ! Isaiah 48:17: "I am the Lord your God, who teaches you what is good for you and leads you along the paths you should follow." In addition to meeting on Wednesday nights for youth group, we plan an extended overnight event each season: Harvest MEA Retreat, Winter Over-nighter, Spring "Acquire The Fire" Youth Conference and Summer Camp. These events always invovle fun activities, challenges and youth-led Bible studies. Check out the E.P.I.C. Change Facebook page for more info, or contact Jami Kruschke at mjkruschke@frontiernet.net. At Resurrection Life Church we offer an awesome Youth Ministry Program! UC-7 exists to reach teenagers with the gospel, to help students mature in their faith and to equip them to serve and reach others. UC-7 meets every Wednesday night at 7pm and hosts many exciting events & trips throughout the year (TBI Summer Bible Camp, Bible-a-thon Overnighter, Aquire the Fire conference and more!). 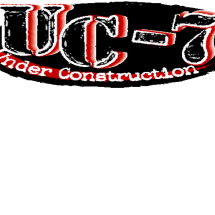 Check out the UC-7 Facebook page for more info, or contact Leah Proctor at jeff_leahproctor@yahoo.com. 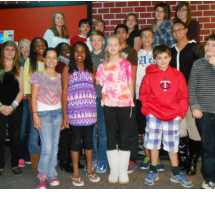 Our Intern program is designed to train our young people (ages 5th grade - Sr. High) to do the work of the ministry. This class meets once per month for a power-packed training session. Interns serve in all areas of Children’s Ministry as well as other departments. For more info, contact Jann Walker at jw7angel@hotmail.com.